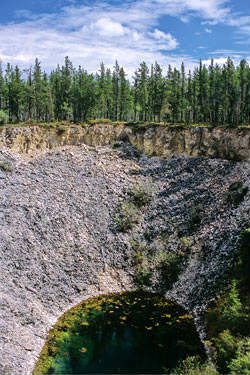 Wood Buffalo National Park, located in northern Alberta and southern Northwest Territories, is the world’s second largest park with over 44, 000 square kilometers. Here resides the world’s largest free-range herd of bison – happily. 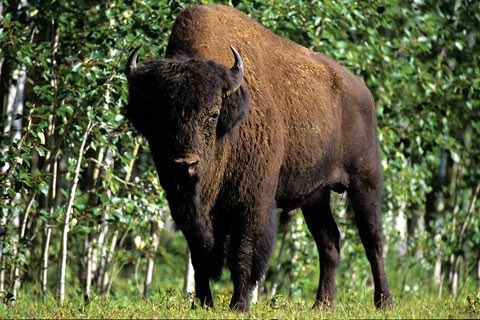 In 1983, Wood Buffalo National Park was made a UNESCO World Heritage Site. What made this national Park so interesting to the world? 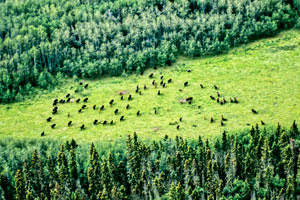 Wood Buffalo National Park is located in what is known as the Northern Boreal Plains. Sedimentary bedrock, covered by glacial deposits, makes this a very unique environment. This area is unusually flat and has poor drainage resulting in beautiful rock formations called karst landforms, sinkholes and salt plains. The boreal plains are made up of muskeg, bogs, streams (both above and below ground), shallow lakes and of course, boreal forest which is a mix of aspen and poplar, white and black spruce, balsam fir and jackpine. Researches and animal lovers come to see this vast and rugged national park in the plains of western Canada. This park provides many animals with the natural habitats like boreal forest, boreal wetlands and river deltas. 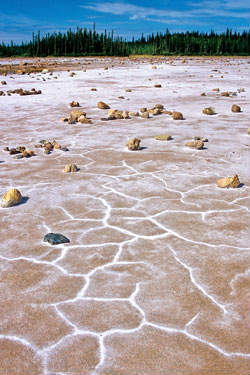 The salt plains are also a natural phenomenon and create a very unique environment. Although a national park, this nature reserve does allow hunting, fishing and trapping by native people of the surrounding areas in keeping with traditions of the last 8000 or so years. Plains Bison – found in the southern region of the park – are smaller in size and lighter in colour than their cousin the wood bison. The hump on the shoulder typical of the wood bison is absent as their back is quite flat. Noticeable features on the plains bison are the "wooly" head, the bushy beard as well as throat hair and prominent "cape" and leg hair. Wood Bison – located in the northern region of the park – are typically larger than the plain bison and darker in colour. A sure way to tell the two apart is the hump located on the wood bison’s back of the neck. This muscle is large and distinct, making it noticeable from a distance. While the hump is larger than that of the plains bison, the leg hair and beard are less prominent. The park was created in 1922 to house and protect the last remaining remnants of what was called the North American Bison. The grassy prairies of Canada had been over-hunted and millions of bison had been reduced down to a few thousand. Today the wood bison are actually a cross between the plains bison and the wood bison after having moved several thousand plains bison to the area in the park’s beginnings. If you are visiting the park in the period between July and August, you will be there in what is called the rutting season or mating season. If you are interested in seeing the young frolic in the sunny plains of the park, come in May, June and August when the young are still curious and playful.